 Signature is the name we give to Dinny Hall Designs that capture the true essence of our design philosophy. Each piece celebrates sculptural simplicity, timelessness and quiet luxury; defined specifically by the manipulation of a recurring motif - the perfectly weighted tapering circle. This simple tapering bangle is handmade in 22k rose gold vermeil and is easily stacked alongside other bangles and cuffs. Diameter of bangle is 6.3 cm.